Dennis Mugo AKA OJ is one of the most popular celebrities in the country. Oj gained his vast popularity at the CitizenTv show ‘Tahidi high’. Due to his talents in acting Oj has risen to the ranks of a celebrity status that saw him gain lucrative advertisement jobs with big companies in the country. It then emerged that Ex Tahidi high actor was indulging in too much alcohol after few photos of him enjoying with his pals circulated online. People proved their statements when Dennis was not appearing on advertisements and romours had it that corporate companies were not willing to associate with him again due to his ruined character. Haters will always be haters as the unconfirmed rumours have not changed Dennis to whom he Is today. 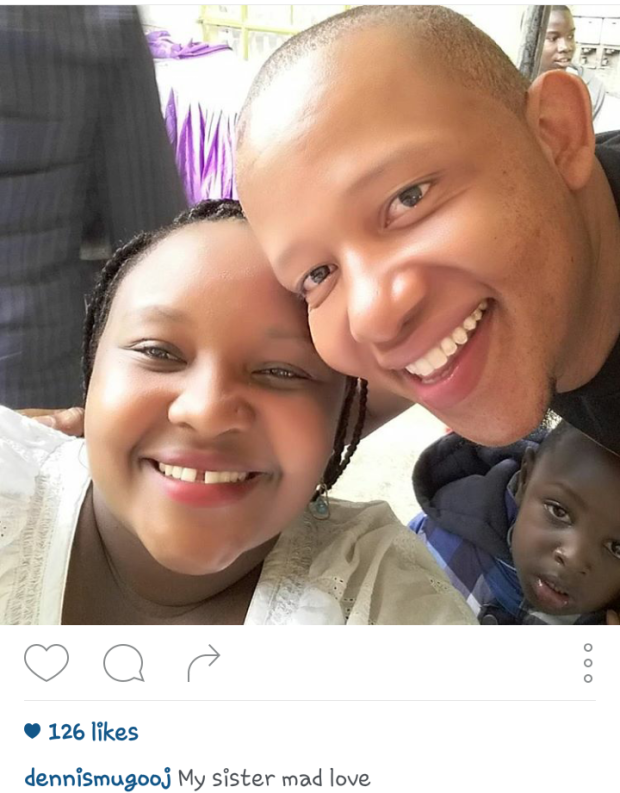 Ex Tahidi actor who had some time back shared photos of his wife and kid has taken a bold step to share a photo of his sister whom he has never revealed to the public.